I am the type of person who will try most any food about once. Even if I am skeptical. Because I am a firm believer in the whole, "how do you know that you don't like if you haven't tried it?" mantra. There have definitely been some foods that I have tried once and only once. But these new Harvest Snaps will not be making it on my list of tried once and done, although I will admit I was a little skeptical at first. ;) But that all changed when I popped open my first bag of Harvest Snaps! 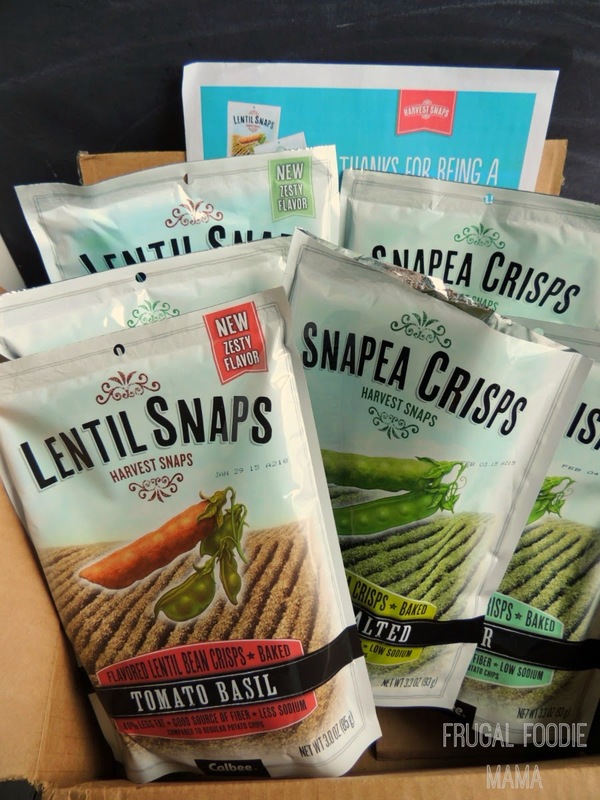 Not only are these Harvest Snaps made from snapeas and lentils a healthier alternative to the usual snacking culprits, but they are also packed full of flavor. From top left, clockwise- Meet Snapea Crisps in Caesar, Lentil Snaps in Tomato Basil, Snapea Crisps in Black Pepper, & Lentil Snaps in Onion Thyme. 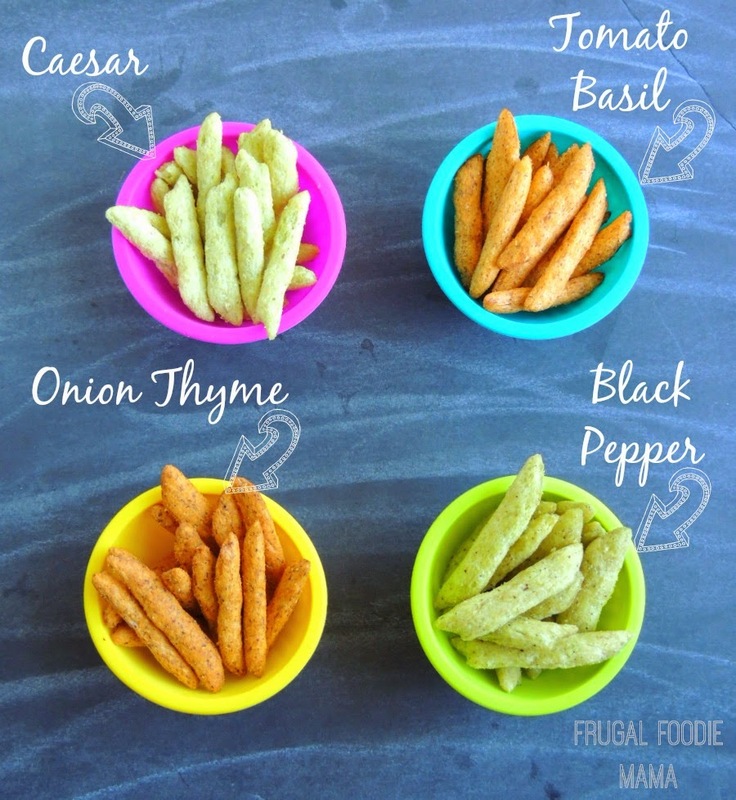 Harvest Snaps are perfect for afternoon snacking, taking along for running errands, and for packing in those school lunches! Click here to find your Harvest Snaps Lunchspiration. 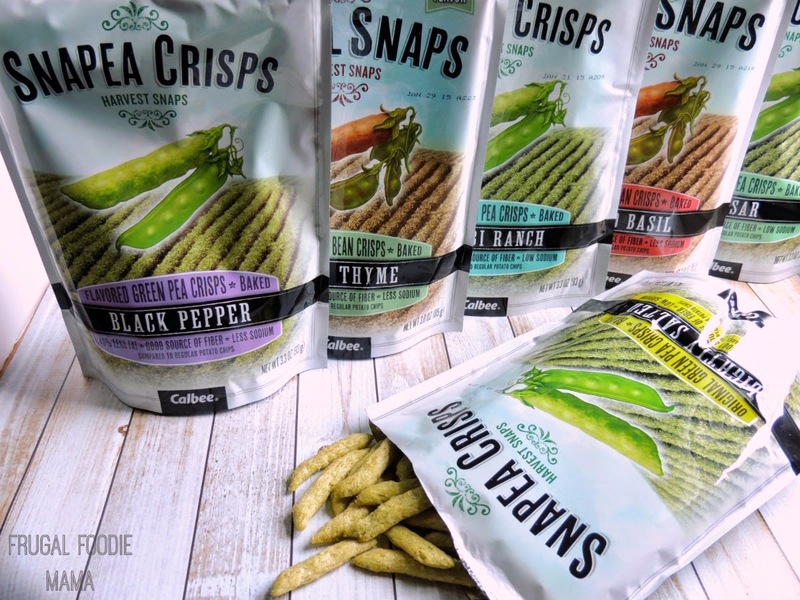 Which flavor of Harvest Snaps will you be trying first?